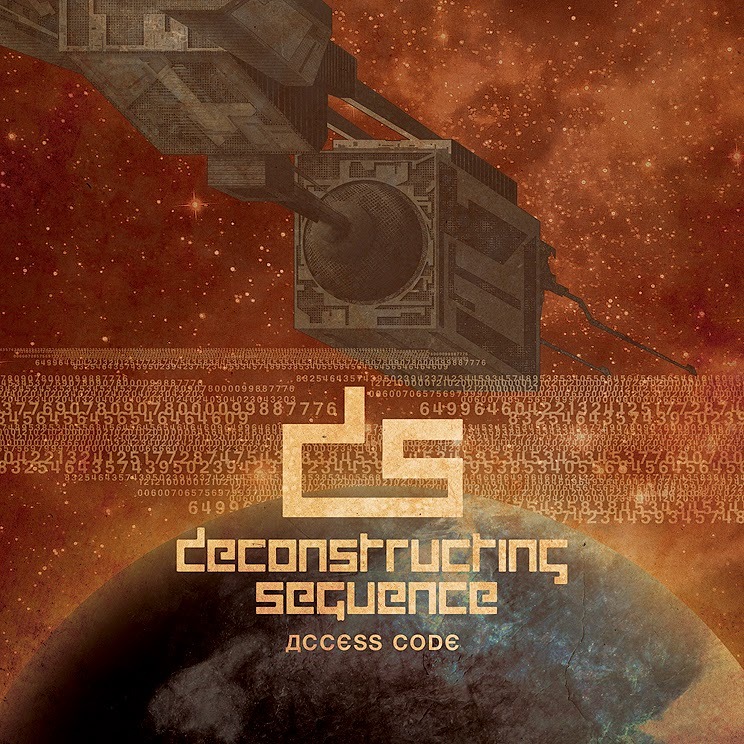 Formed in mid-2012, Deconstructing Sequence are an extremely unique band. They play a form of music that has elements of black and death metal fused together with avant-garde, progressive and industrial elements as well. As far as I can tell, they do not fit directly into one category, leaving them wide open to many different fans. Their EP, Access Code, is 16 minutes of pure, brutal industrial metal that has a sci-fi overtone. Throughout the two tracks on the EP, there are a ton of samples used to go along with the lyrics and music. A very common one sounds like communications between a space shuttle and earth. They are used sporadically enough that they don’t take over the position of the vocals but still fit within the context of the song. The vocals are mainly low growls, with some clean, chorus sounding vocals added in at points. They are very powering and strong, driving the music forward. The guitars lead the music just as much as the vocals do because they are extremely well played. The riffs are reminiscent of technical death metal riffs mixed with tremolo picked riffs as well, playing to both the death and black metal sounds. After a while, the riffs get very blended together and sound the same. The drums are able to keep up with the intensity of the music while not overpowering anything. The kick and snare come through a lot more than any cymbal crashes though, which is sort of disappointing. Synthesizers were added to give the music that extra sci-fi sound to it, and they do just that. They accentuate the main parts of the songs and give the music a very broad atmosphere while listening, almost like you are up inside a space station, hundreds of miles from the earth’s surface. Deconstructing Sequence is certainly full of talent and creativity. Their wide range of influences and sounds leaves them open to many people enjoying aspects of their music. What I fear is that once more material keeps coming, the sound will start to blend together and their songs will all sound the same. That is for the future to decide, because as for now, Deconstructing Sequence delivers on a level not many unsigned bands can, with full force and brutality that is astounding.